Kenwoods have just completed work within a converted mid terraced home in West London. Following concerns of dampness raised by the tenants of the property, Kenwood were called in to assess. 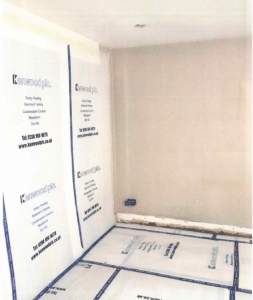 Rising damp was found to be affecting walls within the bedrooms and kitchen, due to a defect in the original damp proof course. The original property was built in the 1900’s, many properties of around this age or older are susceptible. Older methods of damp proofing can degrade or crack allowing rising damp. Today the fix is relatively simple; having removed the damp affected plaster, we inject a chemical into the brickwork which then prevents moisture from the ground rising up. 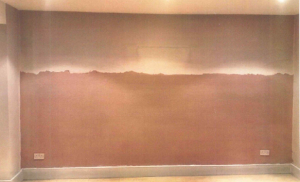 Kenwood have re-rendered the walls using specially blended waterproof render. The walls have been skim finished with plaster to provide a smooth surface for redecoration.